Manitou and Hayes Plotting a Comeback - Sept. 6, 2018, 7:44 a.m.
Goodyear Announces MTB Tires - April 11, 2018, 7:19 a.m.
World's Lightest Mountain Bike? (4.5kg/9.9lbs) - April 11, 2018, 7:15 a.m. It would survive a pedal up to 7th, but it certainly wouldn't survive the ride down. Inside Manitou's Moto-Inspired Mattoc (Magnum) Pro - June 25, 2017, 9:57 p.m. I made a short video. I used a wrap or two of hockey tape on the back of the arch in the center to hold the hose solidly in place. Inside Manitou's Moto-Inspired Mattoc (Magnum) Pro - June 23, 2017, 8:33 a.m. I know it might seem like a pain, but install a longer front brake line and you won't need to use the zap straps. The reverse arch brake line routing is soooooooo much better than conventional forks......the only issue is that you do need a longer brake line. Trust me on this; you'll be pleasantly surprised. Ask Uncle Dave: Why are people too lazy to work on trails? - June 23, 2017, 8:18 a.m.
Every person that builds trails does it for different reasons. The original article is a good read and accurately reflects my reality in many ways. I started building in 2003. I had a rough introduction to what was at the time basically a "Secret society of builders", but I stuck with it and over time I've picking up an enormous amount of valuable knowledge. Personally I think the best thing any builder can do is to patiently teach the craft to others. Share their skills with someone else that wants to absorb the knowledge of how to build great trails. My thoughts are that builders should share the craft with anyone that wants to learn. Understanding Progressivity - June 1, 2017, 9:04 a.m. This was a nice simplified breakdown of a few suspension principals. I especially liked the comparison tables. It made me realize why a two of my bikes behave so differently......time to tweak the shock pressures. 9Point8 Introduces the Digit - April 6, 2017, 7:52 a.m. I can personally attest to the quality and craftsmanship of the WolfTooth remote which it top shelf. This remote for 9point8 should work really well. I am curious about the differences in the "Lever geometry and leverage ratios". Does the 9point8 lever have more or less cable pull with the push of the lever compared to a standard WolfTooth lever? DH Carnage in Peru - Dec. 16, 2015, 10:42 a.m.
Hand10 - June 6, 2014, 9:17 p.m.
Re: NSMB - 2019 - Full Suspension Bike Thread - Jan. 14, 2019, 9:30 p.m.
NSMB - 2019 - Full Suspension Bike Thread - Jan. 14, 2019, 9:29 p.m.
Re: NSMB - 2019 - DH/Park Bike Thread - Jan. 14, 2019, 9:22 p.m.
NSMB - 2019 - DH/Park Bike Thread - Jan. 14, 2019, 9:22 p.m.
Re: NSMB - 2019 - Hardtail Thread - Jan. 14, 2019, 9:15 p.m.
NSMB - 2019 - Hardtail Thread - Jan. 14, 2019, 9:14 p.m.
Re: One Fork to Rule Them All? - Jan. 14, 2019, 9:07 p.m.
Re: NSMB - 2018 - Hardtail Thread - June 4, 2018, 9:42 a.m.
Re: tire bacon - May 10, 2018, 7:17 a.m. Dude!!! That's like saying, "One more lap". 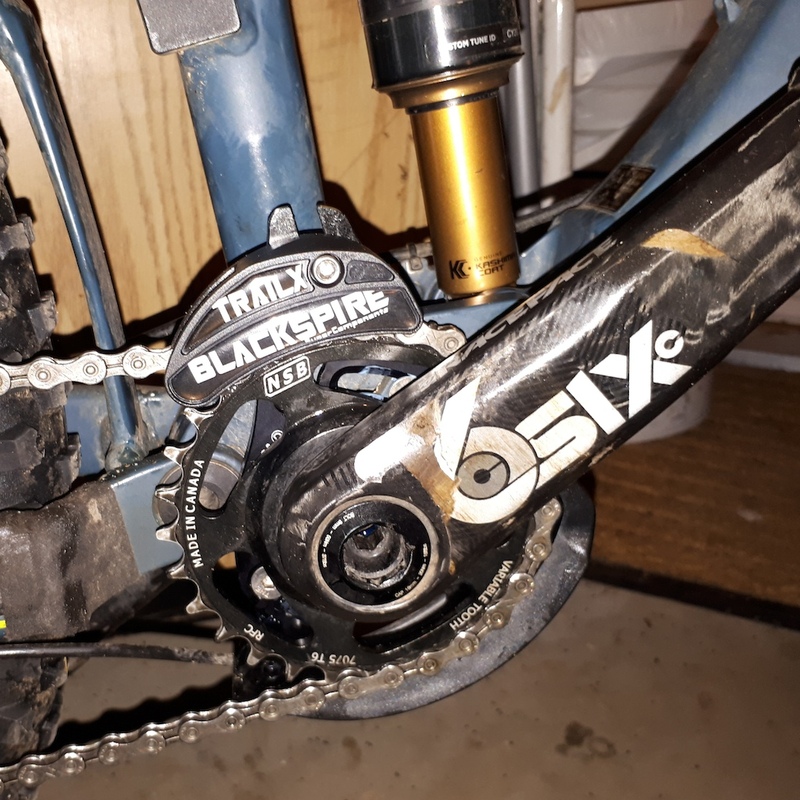 Re: Chain wont stay on! - April 11, 2018, 7:02 a.m.